Race Review: The one-north Run 2017 (by healthobeing) | JustRunLah! 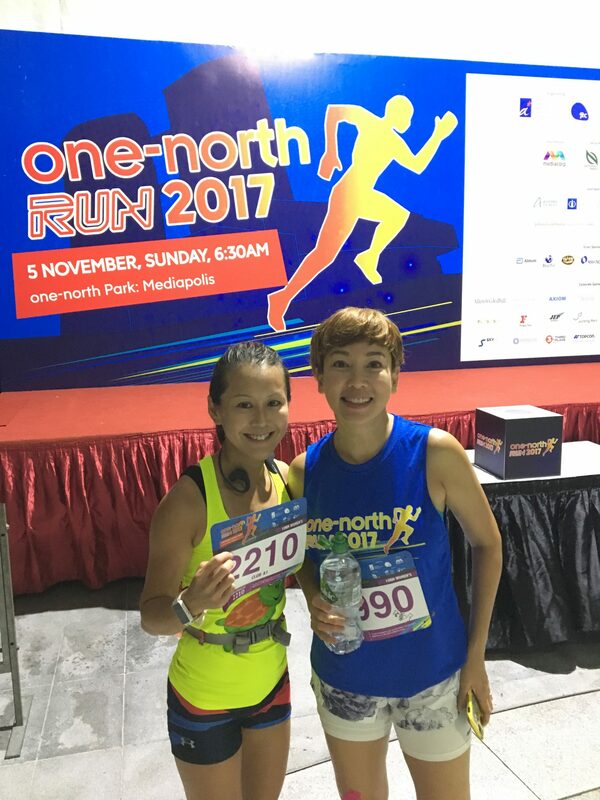 The one-north Run 2017 was held in the one-north area, Buona Vista on 5th Nov 2017 (Sunday). Categories are 5k, 10k, and kids dash with parents of 800m. Its been sometime since I took part in Singapore races, the last one was POSB kids run in September. 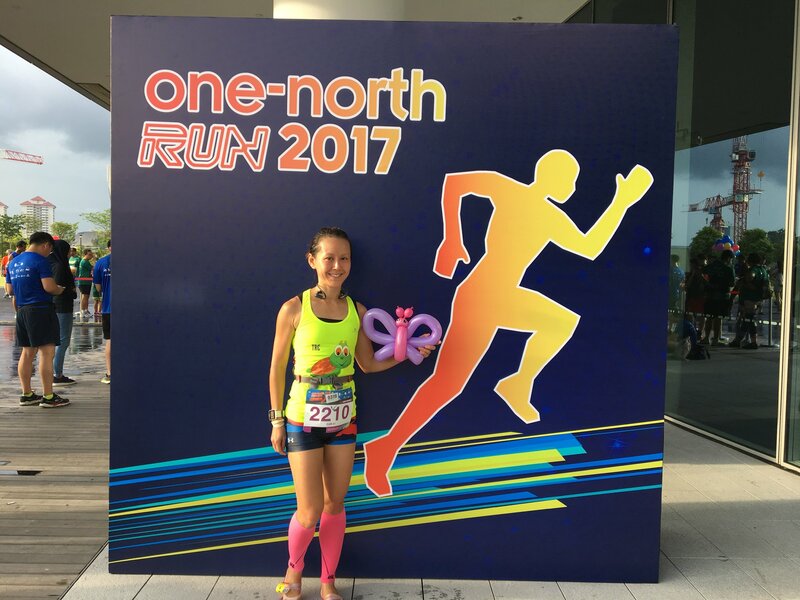 My results were not what I had expected, but it was a nice run with my Tortoise running club friends. 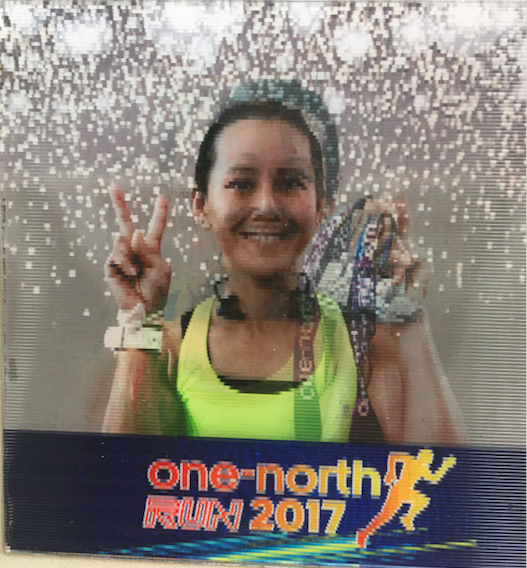 This time around for the one-north Run was because it is near my neighbourhood and it is about one of the cheapest runs I can find in Singapore after the early bird discount. 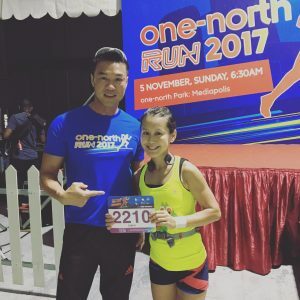 The 10 Km was not really fully subscribed. The route was rather winding and full of slopes. Going up and down within the concrete jungle of the new Mediapolis area. This place has changed a lot since my younger days where it used to be SAF camp, with a lot of greenery and fields. It is now full of character too, colonial houses dotted around the Wessex area. Although it was supposed to be a 10km, my watch had clocked it to be 9.5km only. I guess the many buildings around the area had caused the mis-calculations. One north is now a media and hi-technology hub with many startups around. This race was organised and sponsored by all the businesses in this area. Waking up early about 5 am, I reached the start point by bicycle, the now O bike which is an app driving company, so happened that its giving free rides on that weekend, quite a good way to save the environment. People were strolling in to the start line. 6:30 am was the flag off, and many of the booths were still not up yet. As I have not collected my bib, I went forth to the information counter to collect them as I missed the initial collection. There was a shoe time chip provided too. 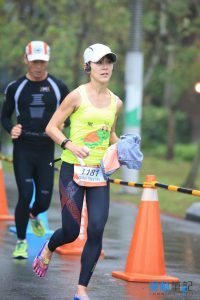 The weather had been good with a heavy downpour the night before, making it cooling for the runners. The best part was being able to take a shot with my favourite Media corp idol, Zheng Ge Ping! Kym Ng was also there too. After the run, get to enjoy the various interesting items that the booths have to offer, from hologram photograph souvenir, balloon sculpting, to face painting. 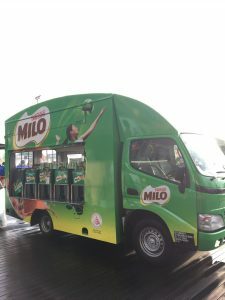 There was also food trucks around and of course the Milo truck. Milo Trucks, all runners’ favourite! 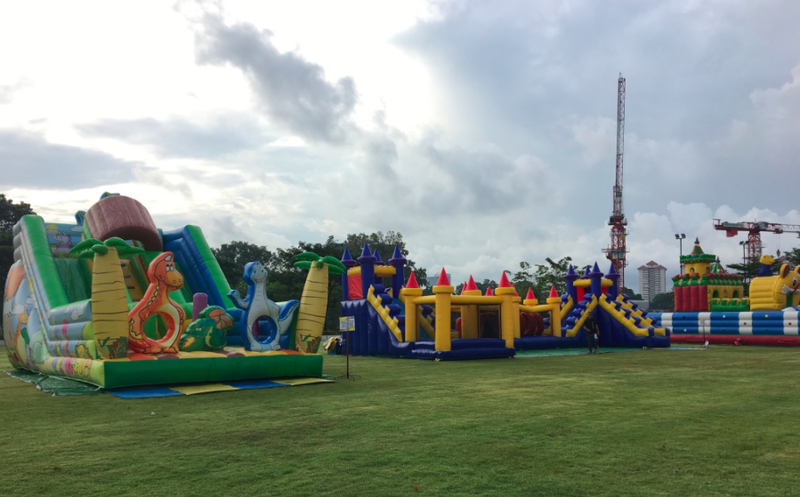 There are ample grounds in the vicinity for runners to rest and stretch, organizers have also thrown in the bouncy castles for the kids to enjoy. 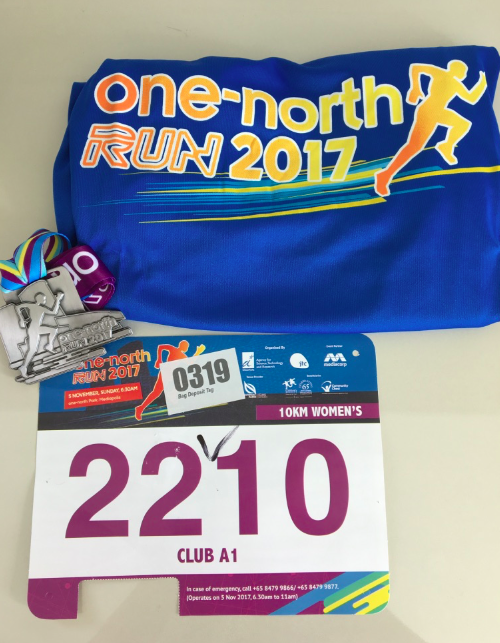 Lucky Draw Bib (the top prize was iPhone X), Finisher medal and Tee. 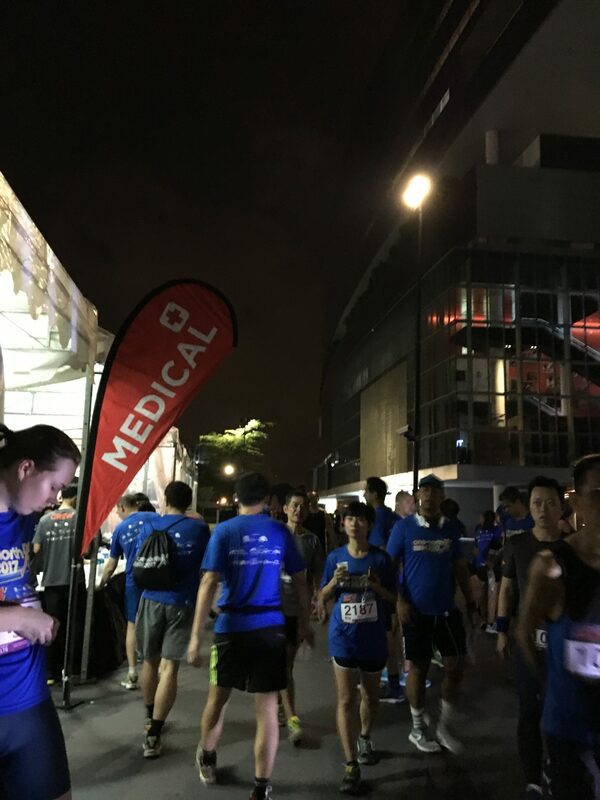 On the whole, the race was well organised and not too crowded, the best part is that the proceeds collected from the race were all given to Charitable organisations such as AWAA, Community Chest and the Singapore Children’s Society. BIO: Running keeps you healthy and is a great way to release stress. I hope to share my running adventures and information about races overseas and locally, to every runners in Singapore. At the same time, I hope to meet more like-minded folks and improve our timing or experiences too! Click here for more post from healthobeing.